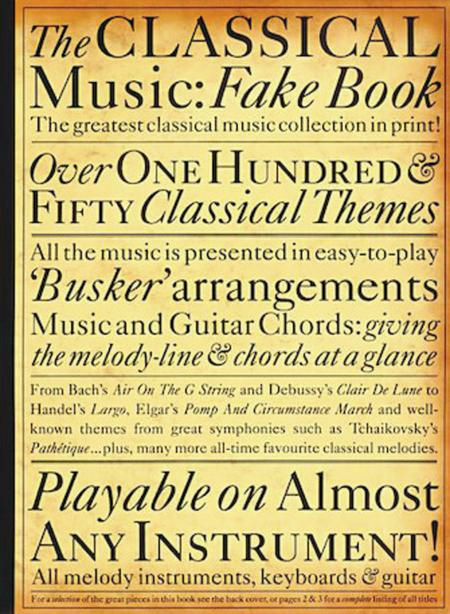 All-time favorites from the world of classical music. Excellent layout, good selection, easy to read with good chord accompaniment. Exactly as advertised. Many, many favorite classical themes with accurate chords. You need to be able to play from chords to get the most use out of it. I am really enjoying this book. Very good selection of material. Clean notation.Some of the arrangements were too short. November 22, 2010 Busking book! Easy solo arrangements of known, popular tunes- not just melodies, many go into development. Ring-bound so pages are easy to turn, high-quality glossy cover- perfect for travelling. Couldn't be happier for the money! 47 of 86 people found this review helpful.